The Olufade’s gorgeous family and newborn photography session was such fun! We always have a blast with this family in our home studio located in Decatur! Ann has brought in her three baby girls for each of their newborn portraits. Folasade, Morayo, and Eniola have all been such gorgeous girls to photograph. Of course we say that about all of our newborns, but there is something so special about watching a family grow through each milestone we document. Scroll down to see the Olufade family portraits and sweet baby Eniola. All of the girls have this reflection image with the pick background, but we did the wrap different in each one. This is one of my favorite images to create with newborns in the studio! She is so sweet. Eniola was such a sweet baby to photograph. We put her in a white wrap and gray blanket so her sweet face would pop out in the image! We love using this bowl and blankets to put newborns during our sessions. Such a heartwarming photo! All the Olufade girls together! We had so much fun photographing these sweet sisters together. Folasade and Morayo are so excited to be big sisters! This is another example of including siblings in a newborn session. We love having siblings come in because they always bring so much joy and laughter to the studio. Ann and her sweet baby girl! Daddy and his little girl! This is such a popular image to create in our studio. It is a great way to include the parents in a newborn photo with just a light touch of their loving hands. 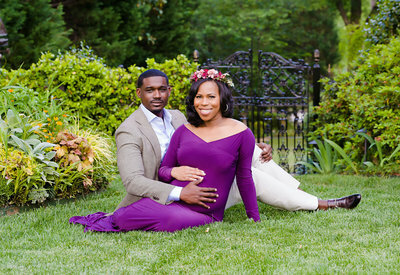 Our sweet loving parents with baby Eniola! 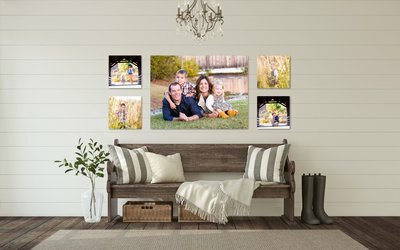 This is one of our favorite backgrounds to use for family portraits! We know it can be nerve racking coming into the studio for professional photos of you and your newborn, but we want to make you feel as comfortable as possible. Ann and all three of her girls! They are such a sweet group of women. Last, but not least, the Olufade family all together! They are such a happy and loving family to photograph. We can’t wait to watch their family grow over the years. If you’d like to schedule your own family or newborn photography session, please contact us online! You can also give us a call at 404-289-6383 with any questions! We look forward to helping you capture this beautiful milestone in your life!